Posted 12:35 pm by & filed under Events, UK Specific, UK Specific. 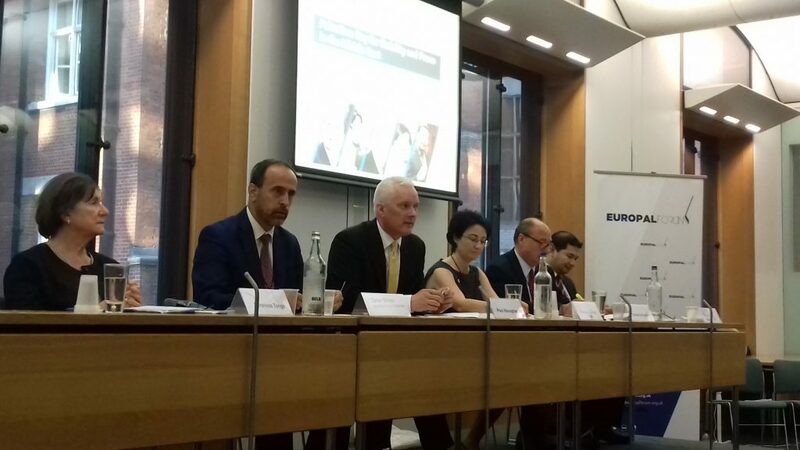 EuroPal Forum hosted an event in July entitled, ‘Palestine: Key for Stability and Peace in the Middle East’ at the Houses of Parliament, London. The talk was introduced and chaired by Dr Paul Monaghan MP (SNP), who presaged the evening’s speeches by emphasising the central role of the Palestinian issue in stabilising the MENA region. His introduction set a precedence for the subsequent speeches, which although represented various voices in the struggle for Palestinian justice, were all united in recognising the global significance of the Palestinian plight. Haneen Al Zoabi MK* (Palestinian Arab on the Joint List in the Israeli Knesset) gave a searing speech that centred on justice and democracy in Israel/ Palestine. Lambasting the notion that Israel is anything close to a democratic state, she spoke about the status of Arabs within Israel as evidence of Israel’s blatant non-democracy, while claiming that the very concept of a ‘Jewish state’ utterly obliterates the possibility of justice for Palestinians, both within Israel as well as within the Occupied Palestinian Territory. Indeed, Al Zoabi claimed, Zionism is by definition a racist system. The final panel speaker, Mohd Rafizi Ramli MP (Malaysia), offered great insight which struck at the very theme of the evening’s talk. Ramli argued that the Palestinian issue was not a localised problem but a global one, and thus had to be dealt with as ‘it’s an issue of global justice’. Ramli motioned to the perceptions held by countries world-wide of the British governments double standards but also suggested we seek to make our pro-Palestinian sentiments from a wide range of UK people groups, including critical Jews, heard in all corners of the world in order to really unify those wanting peace in the Middle-East. The panel spoke to a full and lively audience of various demographics, indeed reflecting the emphasis the panel placed on the Palestinian question’s global importance. 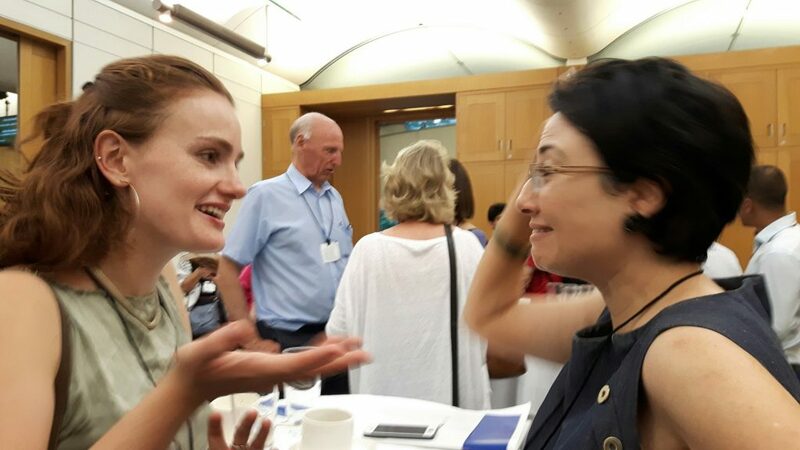 The evening was a wonderful opportunity for ICAHD UK representatives to network with people new to us and with politicians as our work was explained to them. *Note: In recent months Palestinian MKs, including Haneen Al Zoabi, have been under fire in the Knesset. On 19/07/2016 the Israeli Knesset passed a law that has the power to suspend members of the Knesset on grounds of incitement to violence or racism, support for armed conflict or a terrorist group against Israel, or for opposing Israel as a Jewish state.